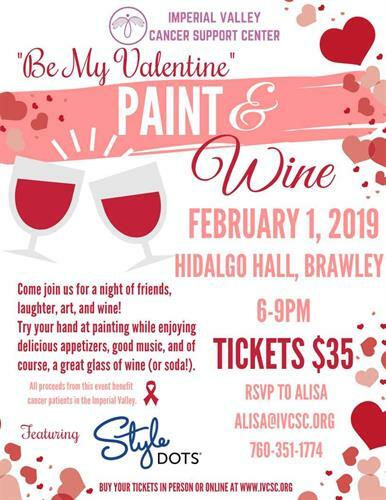 Bring your sweetie or come alone and get your Paint on! Food, Wine and Fun. All suppies provided. Proceeds benefit the imperial Valley Cancer Support Center.